RESTON, Va.--(BUSINESS WIRE)--The FAIR Institute, an expert, non-profit organization led by information risk officers, CISOs and business executives to develop standard information risk management practices, today announced information risk management luminary Jack Jones and Risk Professional Magazine Editor-In-Chief Jeffrey Kutler will deliver opening and closing keynote addresses at the inaugural FAIR Conference, Friday, Oct. 14, at the Wake Forest University Charlotte Center in Charlotte, N.C. Sponsored by RiskLens, Bank of America and Evolver, FAIRCon will feature candid executive and practitioner-led discussions and working groups and will attract C-suite officers and practitioners responsible for information risk management decisions. Attendees will gain strategic insight on information risk management from industry leaders; learn about real-life implementations from FAIR Champions; network with industry peers; and learn how FAIR is breaking down entrenched communication barriers between IT and the business, enabling cost-effective decision-making. FAIRCon’s opening keynote address: The Future of Information and Operational Risk, will be delivered by information security and risk industry luminary, Jack Jones. 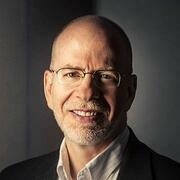 Jones serves as Chairman of The FAIR Institute and is the author of FAIR, the only standard quantitative model for information security and operational risk. He is a three-time Chief Information Security Officer (CISO) with forward-thinking financial institutions such as Nationwide Insurance, Huntington Bank and CBC Innovis. Jones has been recognized for advancing the risk management profession, most notably winning the ISSA Excellence in the Field of Security Practices award in 2006; being named a finalist for the Information Security Executive of the Year, Central US in 2007; and earning the coveted CSO Compass Award in 2012. Jones holds the CRISC, CISM, CISA, and CISSP certifications, and played a leading role in the development of both the ISACA CRISC certification and ISACA’s RiskIT standard. 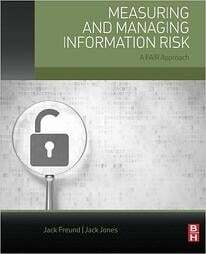 Jones also will sign copies of his book, Measuring and Managing Information Risk: A FAIR Approach, alongside co-author Dr. Jack Freund. Dr. Freund has worked in technology and risk management for 18 years where he has specialized in cyber risk and authored numerous articles on information risk management. Measuring and Managing Information Risk is widely considered the information risk manager’s bible, and was inducted last April into the Cybersecurity Cannon, recognizing authors and works of literature that accurately depict the history, milestones and culture of the modern cybersecurity industry. Leading financial journalist, Jeffrey Kutler, will share his vision and perspective as FAIRCon’s closing keynote speaker based on more than 35 years covering banking and payments, corporate finance, capital markets, financial technology and operations and cybersecurity. He is the editor-in-chief of Risk Professional Magazine, the official publication of the Global Association of Risk Professionals, and is the author of ‘The Futurist’ column in Institutional Investor magazine, where he continues as a contributing editor. Between 2000 and 2008, Kutler served as Institutional Investor’s assistant managing editor, focusing on banking and capital markets technology, as well as U.S. editor. He has also been editor of the weekly Securities Industry News and worked for about 20 years for the daily newspaper American Banker and some of its affiliates, rising to the position of executive editor.